The IBM Marketing Cloud (aka IBM Silverpop or IBM Digital Marketing) is a digital marketing software solution with core competencies in email marketing and marketing automation. Founded as Silverpop in 1999 and headquartered in Atlanta, the company was one of the older players in the digital marketing and marketing automation software industries before it was acquired by IBM in 2014. Perhaps due to its head start, the IBM Marketing Cloud counts over 1,600 customers, 4,400 brands and 15,500 marketers (including brands from its agency and partner relationships). And the momentum continues. The marketing software is riding a wave of accolades and industry recognition—and not from the typical 'pay the fee and get your award players'—but from credible sources such as the Gartner Magic Quadrant and the Frost & Sullivan Market Share Leadership Award for Marketing Automation Software. The company’s origins began with email marketing, largely in the B2C industry. However, a strategic acquisition of Vtrenz in 2007 launched the company into what we now call the marketing automation software industry. Silverpop took a few years to rebuild the Vtrenz application into their underlying platform – a good investment as it avoided forcing customers to choose one product and platform or the other. Unlike most email service providers which focus on B2C or marketing automation software publishers which favor B2B, IBM Marketing Cloud customers tend to tip the scales a bit more on the B2C side, but the allocation is steadily shifting and the company effectively caters to both markets. The IBM Marketing Cloud also retains some SMB customers, however, the ideal target market is more aptly middle market and enterprise organizations with multiple person marketing departments. Similarly, the marketing software may be a stepping stone solution for companies that have outgrown standalone email service providers or overtly simple (and limited) marketing automation software. The marketing solution often appeals to marketers who are advancing beyond batch and blast email distributions to more sophisticated and automated behavior-based digital marketing campaigns. The vertical markets or industries which account for the highest percentage of customers include Retail, Publishing, High Tech, Travel/Hospitality and Financial Services. IBM previously offered two separate marketing automation systems from the Silverpop acquisition, Engage and CoreMotives, however, the later has since been sunset. What was called Engage but has since been rebranded as the IBM Marketing Cloud is the historical flagship product and is a mature on-demand email marketing and marketing automation system. The application delivers traditional marketing automation features such as digital lead tracking, form-based lead acquisitions, lead scoring, email marketing, nurture marketing, lead transfer and marketing analytics. Silverpop’s acquisition of CoreMotives in March 2012 was intended to capitalize on the rapidly growing Microsoft Dynamics CRM customer base. 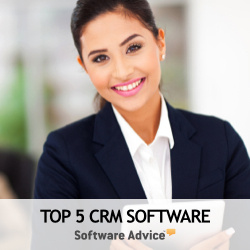 In fact, many CRM pundits suggest that Microsoft CRM is the most potent threat to Salesforce's CRM leadership position. Core Motives was a marketing software application purpose built for Microsoft Dynamics CRM. The marketing software was tightly embedded within Microsoft CRM, ran in the Azure cloud and followed the CRM software constructs, UI and processes. CoreMotives was founded in 1999, and quickly acquired 800 customers in 34 countries by the time it was acquired by Silverpop, but was promptly discontinued after the IBM acquisition. The IBM Marketing Cloud also integrates with Microsoft Dynamics CRM and is generally targeted at Microsoft CRM customers with more sophisticated campaign requirements, higher email volumes, larger transaction volumes and larger lead/contact databases.